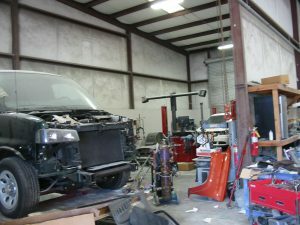 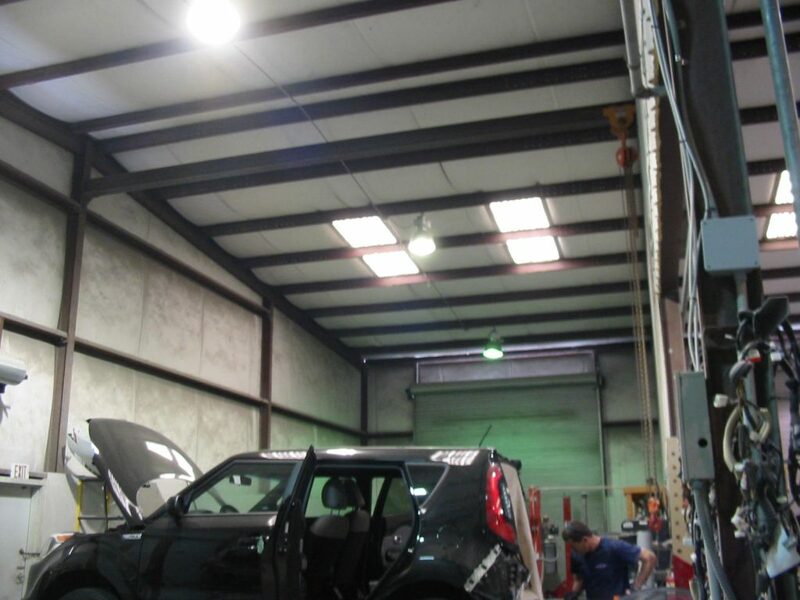 Wes Krivanek with Irby Tool & Safety found us on line & asked for help upgrading their outdated lighting. 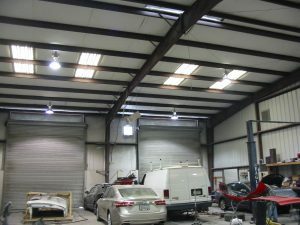 Their inspection regimen required better lighting which was accomplished by replacing the old metal halide fixtures with LED Linear HighBays. 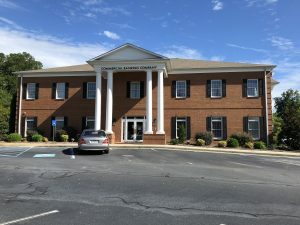 The rebate check they received from Georgia Power helped with the transition. 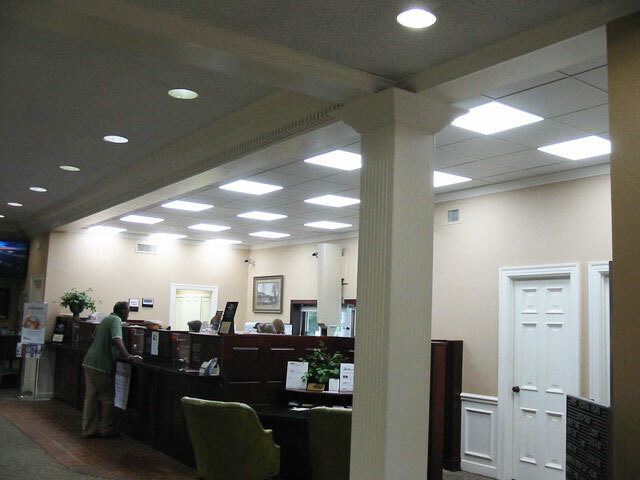 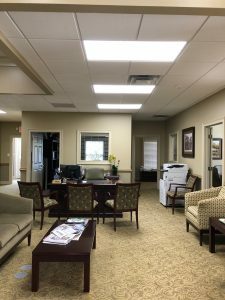 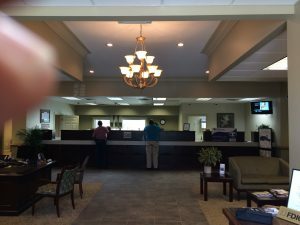 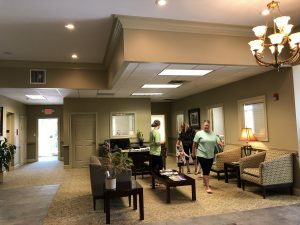 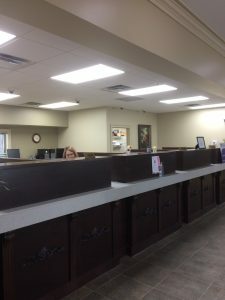 CBC Bank recently upgraded their indoor obsolete fluorescent lighting in Tifton to LED Panels, reducing their power usage on lighting by almost 60%. 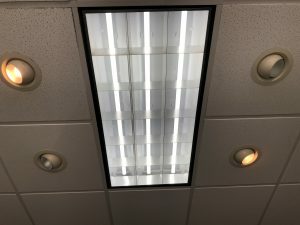 As a Georgia Power commercial customer, they qualified for very nice rebate to help with the upgrade. 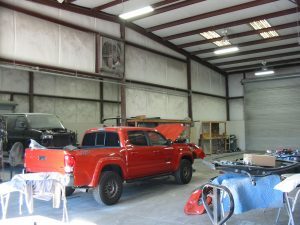 He also received a very nice rebate from Georgia Power for making the transition. 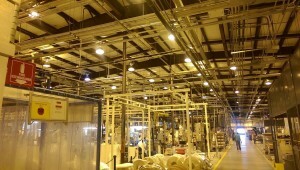 Local industry had over 200 High Pressure Sodium fixtures, each producing over 500 watts. 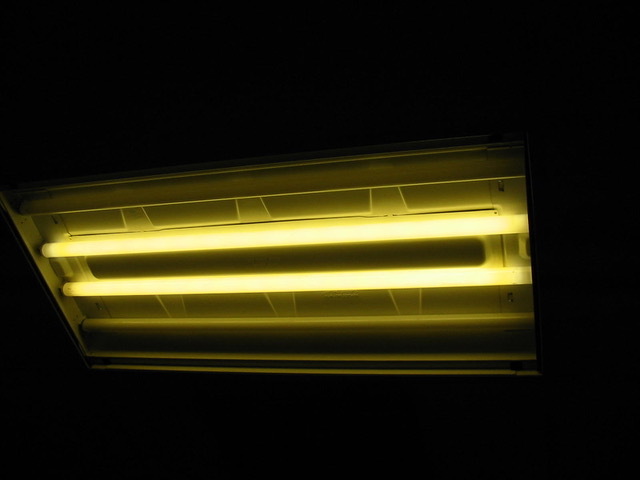 They emitted an amber color light & produced heat temperatures of over 600 degrees. 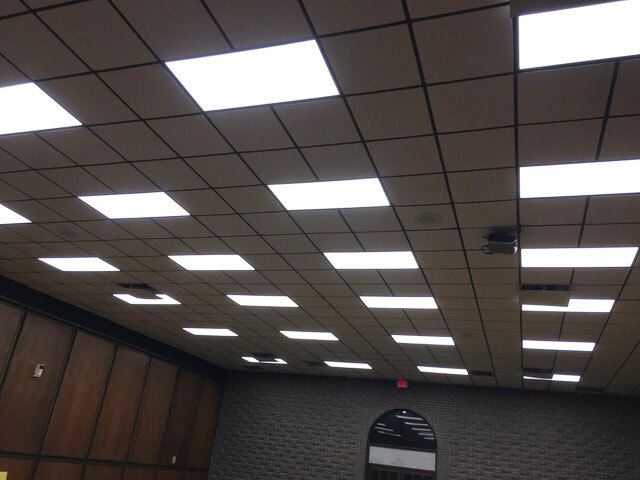 Mounted at 25′, the average measured light levels were 25 foot candles at 3′ above the floor. 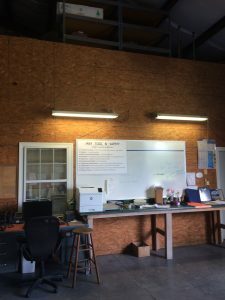 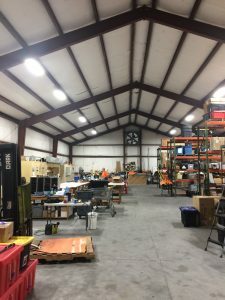 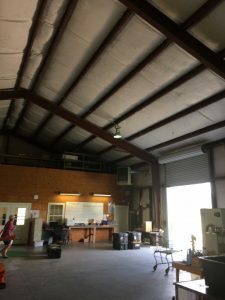 The account was able to save over 50% on power usage by replacing existing fixtures with 250 watt LED fixtures in 5000K, producing a perfect working environment. 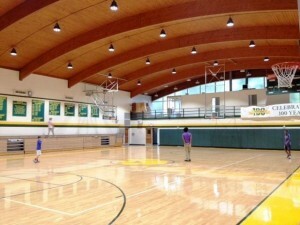 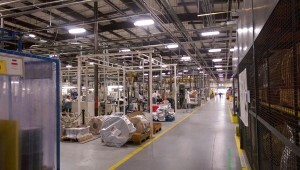 The number of units required to produce the desired light levels was reduced by 15%. 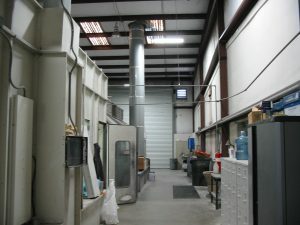 The average operating temperature is 110 degrees. 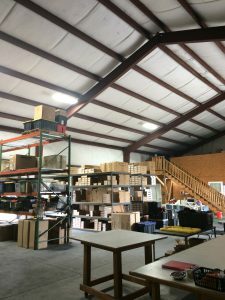 Average measured light levels is 55 foot candles at 3′ above the floor. 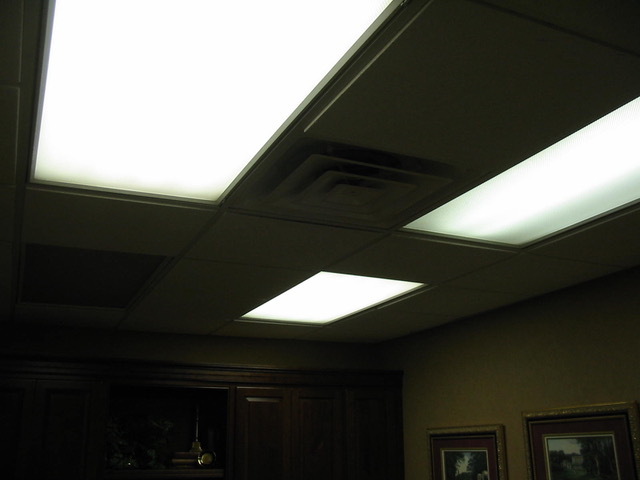 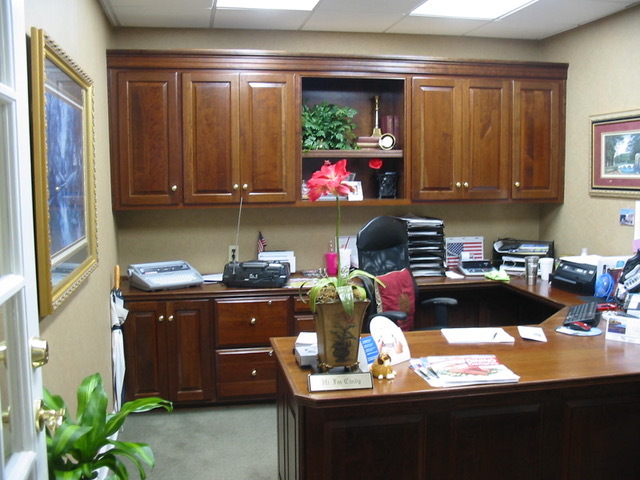 Employee production & disposition has been greatly enhanced by the improved quality of light. 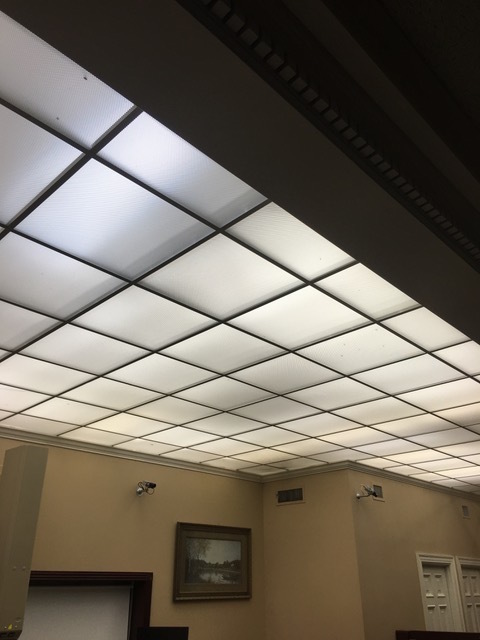 The new LED panels require no maintenance. 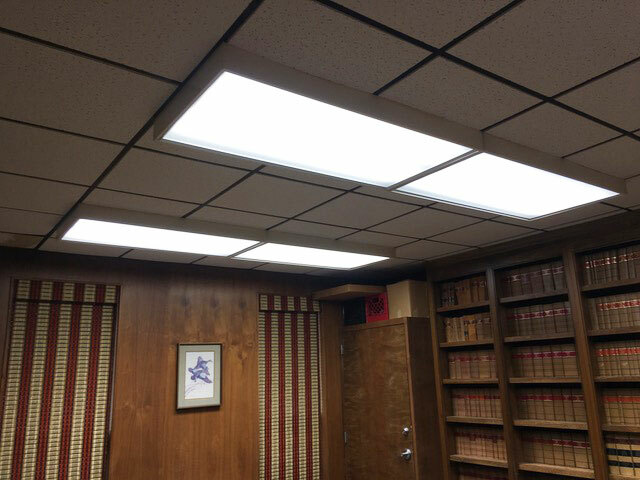 The older technology at the Lanier County Law Library & Judge’s Chambers a combination of various fixture designs using the old magnetic F40T12 Fluorescent tubes which were discontinued in 2009 Georgia Power rewarded them with a rebate for replacing the old fixtures with new maintenance free LED Flat Panels. 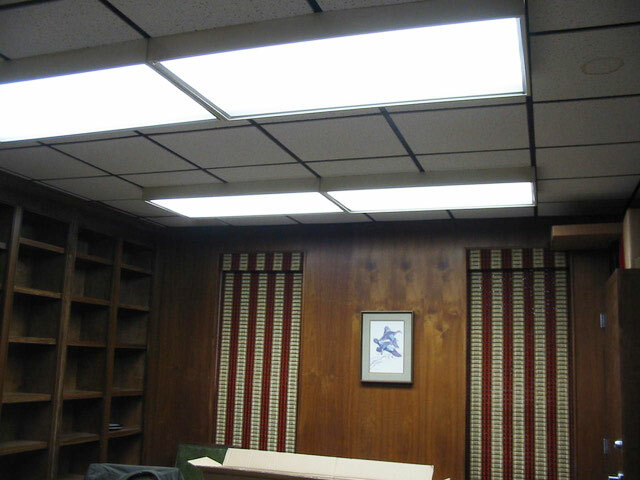 The new panel lights give them an even distribution of light and a significant savings on their power bill. 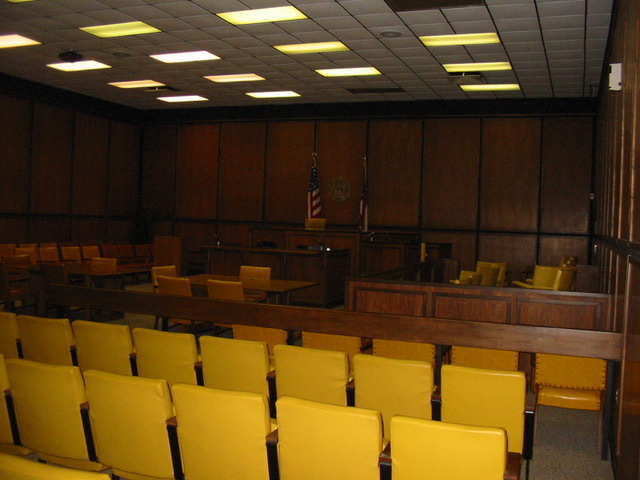 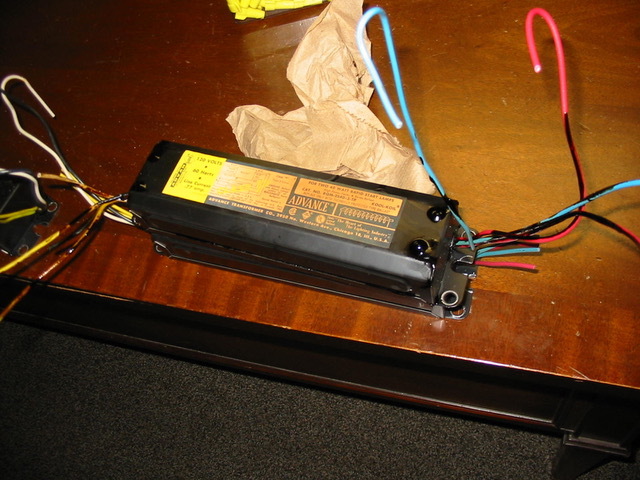 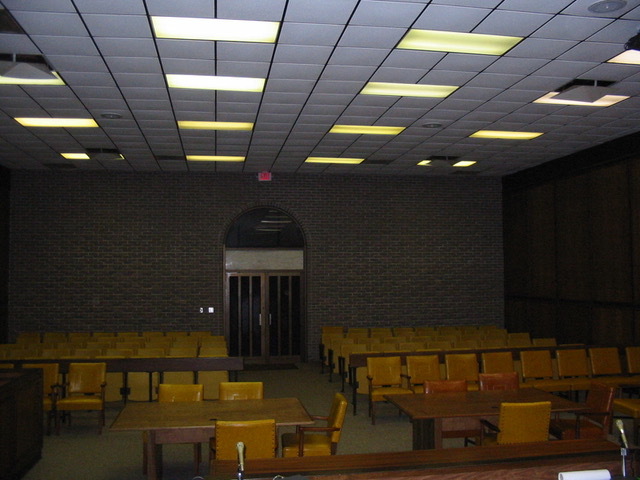 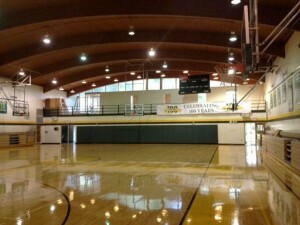 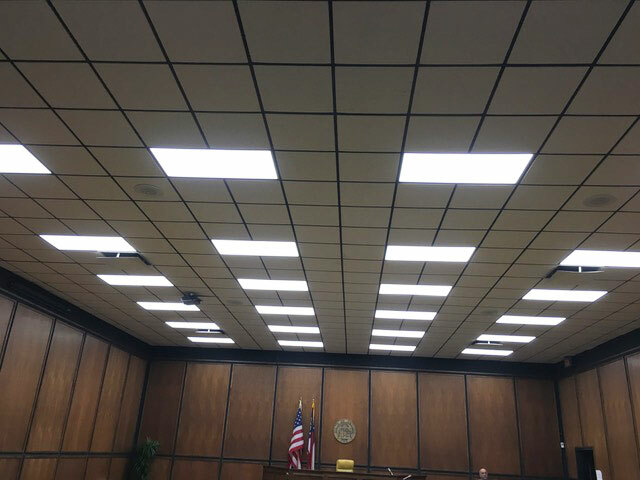 With the help of a Georgia Power rebate, the Lanier County Board of Commissioners replaced all the old magnetic F40T12 Fluorescent lighting in the County Courtroom with LED Flat Panels, which require no maintenance.